In the wake of the 9/11 terrorist attacks on the U.S., Saudi Arabia was under intense scrutiny since 15 of the 19 hijackers were Saudis. 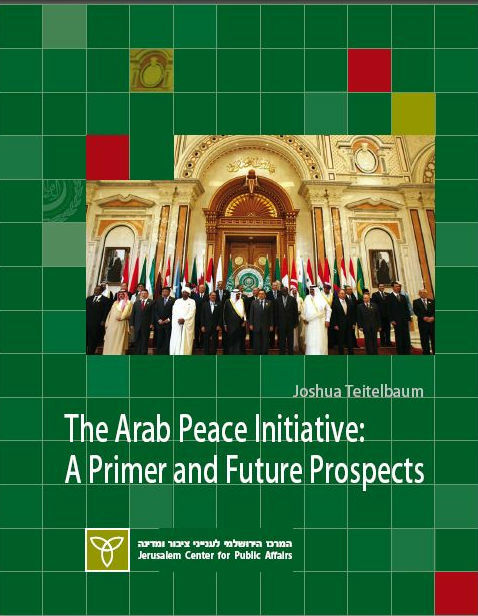 In Feb. 2002, Crown Prince Abdullah of Saudi Arabia proposed to Israel “full withdrawal” from the territories in return for “full normalization.” In a flash, Abdullah transformed the discourse from Saudi involvement in terrorism to Saudi peacemaking. However, by the time the Abdullah trial balloon reached the Arab summit in Beirut in March 2002, the initiative had been modified and its terms hardened. It watered down “full normalization,” rewarded Syria with a presence on the shores of the Sea of Galilee, and enshrined a Palestinian “right of return” to Israel. Dr. Joshua Teitelbaum is Senior Research Fellow, Dayan Center for Middle Eastern Studies, Tel Aviv University, and Rosenbloom Israeli Visiting Associate Professor, Department of Political Science and the Center on Democracy, Development, and the Rule of Law, and W. Glenn Campbell and Rita Ricardo-Campbell National Fellow at the Hoover Institution, both at Stanford University.